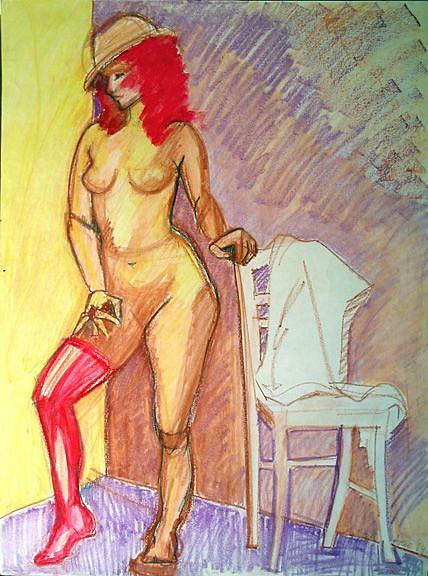 This mixed media piece was created during a live model session, in oil pastel. Acrylic paint and graphite accents were added later. I opted to leave it fairly loose for a feeling of immediacy.